It will be no surprise that your credibility with an audience is strongly linked to how they feel about you. And—again no surprise—they’ll develop that feeling very early, often in seconds, sometimes in the first couple of minutes. Try these two suggestions. Does speaking to a challenging audience seem like being fed to the lions? Even at the best of times, audience emotions can determine the success of your presentation. At the most difficult times, audience emotions can make or break your credibility. Michael is a senior trainer with Skillset, based in Christchurch. 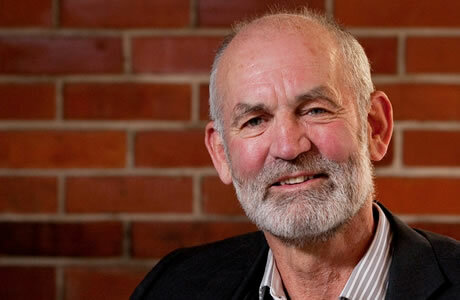 He is a leading authority on training in presentation and news media skills in New Zealand. He has special expertise in how to present emotionally charged topics to challenging audiences. Michael has trained thousands of New Zealanders and worked with people who speak on behalf of some of the country's largest organisations. Michael is a prolific author and his books on speaking and working with the media are in their fourth editions. One of Michael's books is about his family's adventures sailing in the Pacific. Interested in training in presentation skills? We can help your presenters engage their audiences – whether they are speaking at major conferences, presenting to the community or colleagues, or speaking up at a meeting. Interested in training in media skills? Our experienced media trainers can show your spokespeople how to work with the media so that everyone benefits.